Is Alber Elbaz Leaving Lanvin? 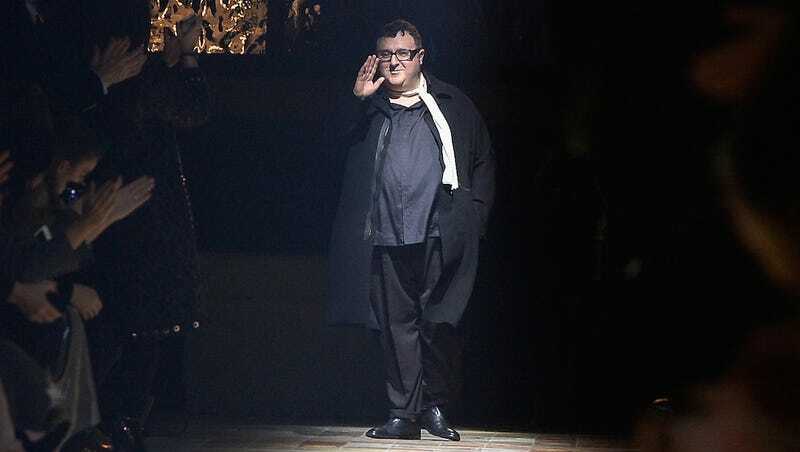 [UPDATED] The irony, after WWD’s piece yesterday exploring whether fashion is exhausting its creatives: today, the outlet reports that Alber Elbaz, the beloved and iconic fashion director of Lanvin for the past 14 years, will soon announce his retirement from the brand. Sources said the rupture came following disagreements between the charismatic Israeli designer and company principals: owner Shaw-Lan Wang and chief executive officer Michèle Huiban. Prized for his couture-like craft and affable personality, Elbaz is believed to have held discussions with Dior when it was seeking a successor to John Galliano following his 2011 expulsion due to racist and anti-Semitic outbursts a Paris café, for which he was convicted of public insult. Talks did not progress partly because Elbaz had an ownership stake in Lanvin via a holding controlled by Wang, a stumbling block to a deal. It could not immediately be learned if Elbaz is selling his stake as part of the exit package. According to sources, tensions between Elbaz and Wang have been building up in recent months, with the designer urging the Taiwanese publishing magnate to sell her majority stake and make way for a new owner that could better capitalize on Lanvin’s development potential. As we enter cuffin season, it’s fascinating that three of fashion’s most celebrated designers—Elbaz, Simons and, to a certain extent Alexander Wang—have become decidedly uncuffed. Maybe Simons and Elbaz can just do a clean swap? There’s much more to the story—read it in full here.